For electrical drives good dynamic performance is mandatory so as to respond to the changes in command speed and torques, so various speed control techniques are being used for real time applications. The speed of a Three Phase Induction Motor can be controlled using various controllers like PID Controller, Fuzzy Logic Controller, Genetic Algorithm (GA) controller and Hybrid Fuzzy-PID Controller. a Ziegler-Nichols (Z-N) based PID plus fuzzy logic control (FLC) scheme is proposed for speed control of a direct field-oriented induction motor (DFOIM). The Z-N PID is adopted because its parameter values can be chosen using a simple and useful rule of thumb. 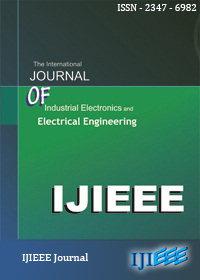 The paper describes application of Hybrid Fuzzy-PID Controller in an enhancement of Static & Dynamic Response of the Three Phase Induction Motor under the effect of the external disturbances and noise that uses the Fuzzy-PID Controller for enhancement of Static & Dynamic Response of the Three Phase Induction Motor under the effect of the external disturbances and noise is implemented in MATLAB/SIMULINK. The simulation study indicates the superiority Hybrid Fuzzy-PID Controller over the PID controller separately. This control seems to have a lot of promise in the applications of power electronics. The speed of the Three Phases Induction Motor Drives can be adjusted to a great extent so as to provide easy control and high performance. There are several conventional and numeric types of controllers intended for controlling the Three Phase Induction Motor speed and executing various tasks: PID Controller, Fuzzy Logic Controller; or the combination between them: Fuzzy-Swarm, Fuzzy-Neural Networks, Fuzzy-Genetic Algorithm, Fuzzy-Ants Colony. 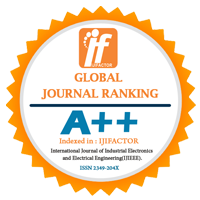 We describe in this paper the use of Hybrid Fuzzy- PID Controller for enhancement of Static & Dynamic Response of the Three Phases Induction Motor Drives under the effect of the external disturbances. In this case, the obtained results were simulated on SIMULINK /MATLAB environment.